He denies the accusations by Miss Canada, Miss England, and Miss Guam. 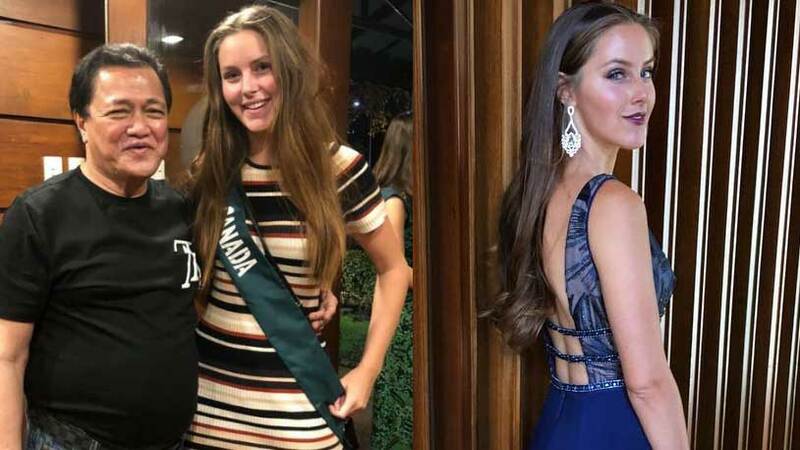 The Miss Earth 2018 pageant may be over (the coronation night was held on November 4, and Nguyen Phuong Khanh of Vietnam was declared the winner), but the controversy on what happened behind the scenes is still brewing. Vandenberg also alleged that the sponsor took sultry photos with other girls on his yacht and was telling them that he could bring them to Boracay, and that he was also upset that a group of girls did not dance with him. Vandenberg, who left the Philippines without finishing the pageant, shared that she had already brought the situation up with the team managers. She said they laughed at her and told her to be nice. Cruz is the president and CEO of Offshore Construction & Development Co. and transport company New Qualitrans Inc. While photos of him with beauty queens are circulating online, he has responded to the sexual harassment allegations. In an interview with ABS-CBN News, he said that he is a long-time sponsor of the event “so he could help promote the country’s tourism.” He added that he could not understand why his sponsorship of such events would be given malicious meaning. Cruz also claimed that it was the candidates, not him, who expressed interest to visit Boracay; he merely offered to take them there since he comes from Capiz, which is nearby. The organization is also asking the candidates for their written statements so they can take appropriate action.